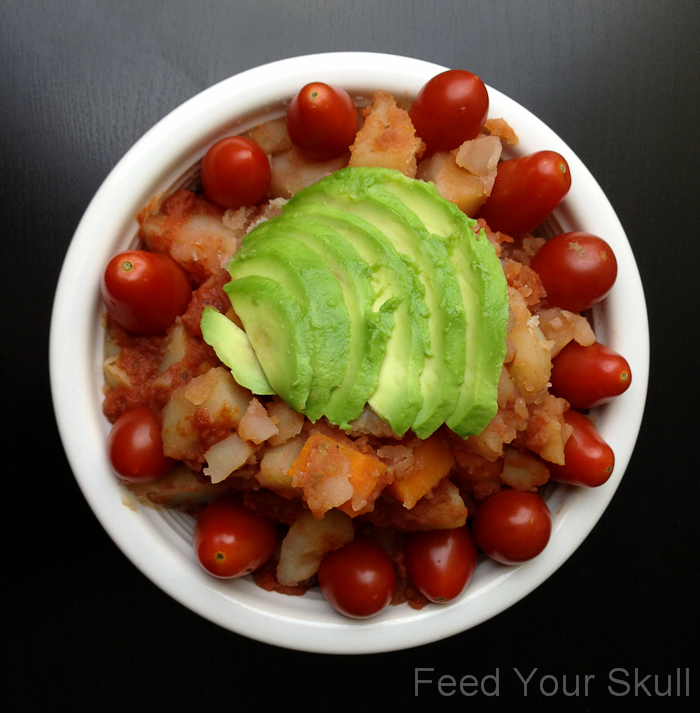 Meet potato and carrots topped with marinara sauce and avocado. These are my favorite kind of posts – unassuming combinations that fill the comfort food gap to satisfy cravings. Simple enough for 1-2 people but the kind of dish that could be multiplied easily for many people. Last night I wasn’t sure what I wanted for dinner. The night before we had epic Hawaiian BBQ vegetables which was incredibly tasty. With an extra chill in the air today I sought out the food that brings comfort. So I took inspiration from pasta and delicious baked potatoes. Add your carrot, potato, garlic and onion powder to a medium-sized saucepan and cover with water. Cook on medium heat for 20 minutes or until potatoes and carrots are tender. 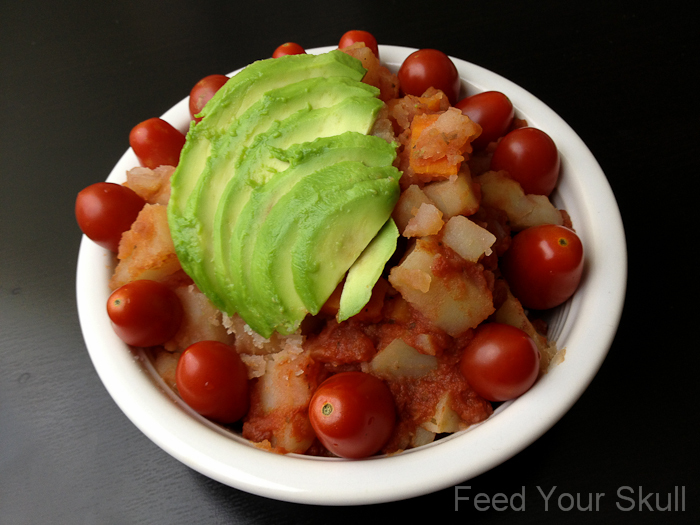 Strain water and top vegetables with marinara sauce while warming up the sauce on low heat. This should only take a few minutes and you're ready to eat! Top with avocado and season with salt and pepper if desired. Enjoy.